La Sportiva Legends 2012 was a great success! 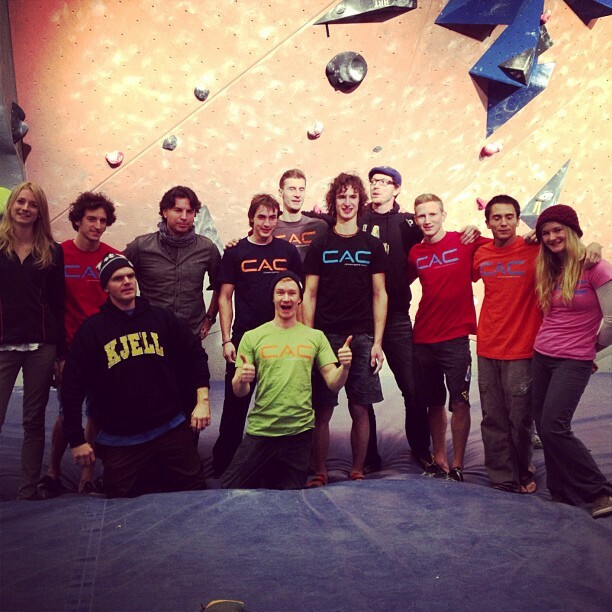 The strongest line up in a competition ever, super cool boulder problems and amazing atmosphere really made it a legendary show. For me, this competition was a completely new experience. 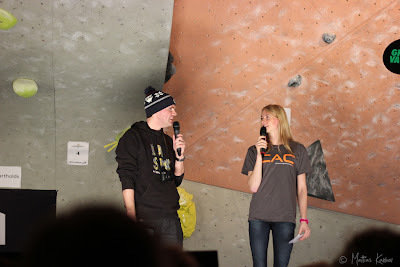 I hosted the event together with Kjell Eriksson! To be honest, I had never spoken in front of a big crowd, nor handled a microphone before. The tickets were all sold out, which meant there would more than 700 people in the audience. Considering that, I actually did not feel as nervous as I thought I would (or maybe should)... Preparing for my job as a host was in some ways similar to getting ready for a competition, a lot of focus and mental preparation. I am very happy I took on the challenge and did it. It was certainly a learning experience and a lot more fun than I expected! Shauna Coxsey and the setters from Klättercentret did an excellent job with the boulders. The problems were of perfect difficulty, decisive and challenging in many different ways, making it very exciting to watch. It was all settled on the last problem, where Sean McColl could secure the victory! Big thanks to Björn Pohl for organizing it all perfectly. It is still possible to watch the competition on SVTplay and Sandstones Media has made a really cool behind the scenes film, check it out here!